Bonaventure Cemetery in Savannah Georgia certainly has a reputation for numerous reasons, including being one of the most haunted places to visit. 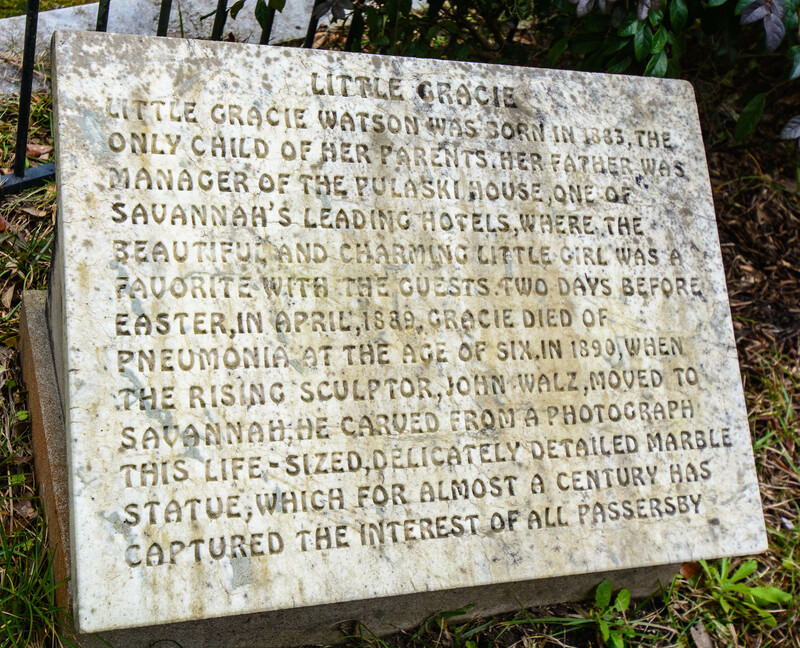 Frankly, it was my favorite place in Savannah and I loved stumbling upon “Little Gracie Watson”. Gracie Watson, an only child, was born in 1838. Her father was manager of Savannah’s Pulaski House Hotel. Two days before Easter she died of pneumonia at the age of six. 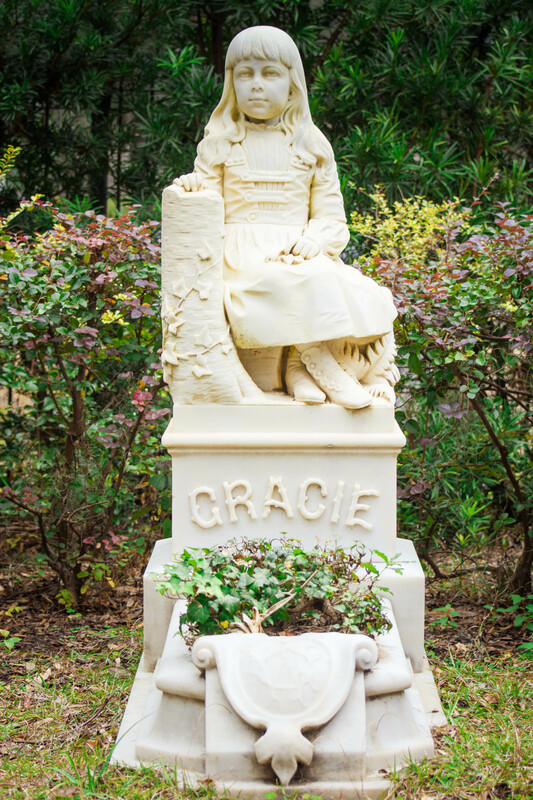 In 1890, John Walz, moved to Savannah and carved from a photography the life size statue of Gracie. John Walz created many other beautiful monuments in Bonaventure. Ironically, he is buried there, without a headstone. Visitors leave toys for Gracie to play with, and some claim she will cry tears of blood if her playthings are removed. Some believe that if you place a quarter in Gracie’s hand and circle the statue three times, the coin will disappear. Sadly, the statue now has a black wrought iron fence around it do to vandalism. I’ve always wanted to go to this cemetery!